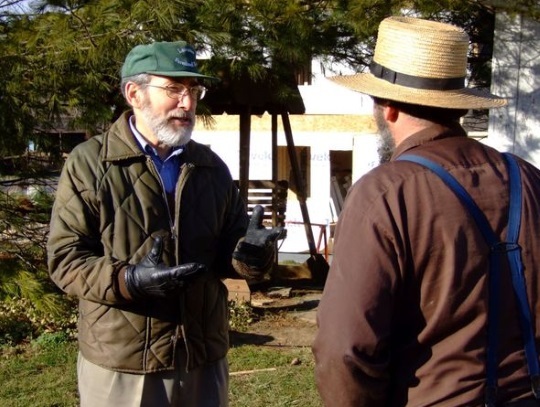 Donald Kraybill is the author of over a dozen books on the Amish, and currently serves as Senior Fellow Emeritus at the Young Center for Anabaptist and Pietist Studies at Elizabethtown College. From America’s most trusted expert on Amish life comes Simply Amish, an essential guide to Amish life, culture, and faith. Why do the Amish reject technology and education or do they? Why do their young people choose to stay Amish when their beliefs and practices put them so at odds with modern society? How are they different from the Mennonites? When it comes to learning about the Amish, it can be hard to sort out fact from fiction. Donald B. Kraybill has lived among, studied, written about, and befriended the Amish for many years, and Amish people read his books to learn more about themselves. Through stories from his friendship with the Amish and studies from his forty-year career, Kraybill takes readers on a gentle journey among a people known for their simplicity, rootedness in church and family, and commitment to peaceful living. 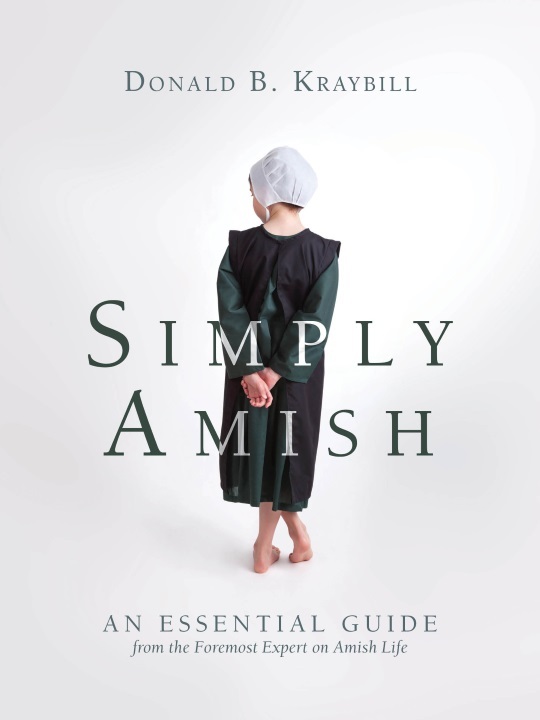 You can enter to win a copy of Simply Amish courtesy of Herald Press. To enter, simply (no pun intended) leave a comment on this post. As usual, I’ll draw a winner at random, and post that here next week. Below, Don answers questions about the book, the Amish in Lancaster County and in general, and his personal experience with the Amish. I hope you enjoy it. 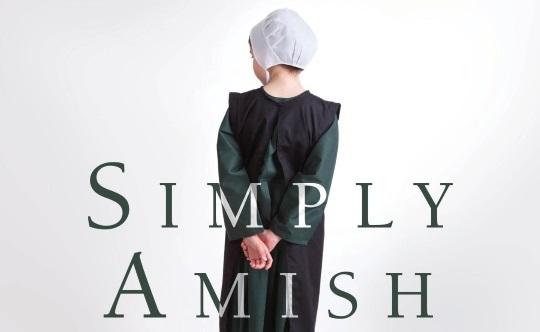 Amish America: What is Simply Amish about, and who should read it? Donald Kraybill: This book offers a sweeping overview of Amish faith and practice across North America. It’s for anyone who wants a quick introduction to Amish culture. But it’s not an Amish for Dummies book. It does have steak and substance. Its price is remarkably low for a hardback. You are a Lancaster County native. What are the big changes in the Amish community since you have lived there and have been studying the Amish? I was born in Mount Joy about 7 miles from where I now live. Several things come to mind: widespread use of technology in barn, shop and fields; the growth of the settlement from about 20 church districts to over 220; and a huge shift from farming to business. What makes the Lancaster Amish different from other Amish? The Lancaster Amish are the largest of some 40 Amish tribes. Although they originate in the Lancaster area, the Lancaster tribe is also found in Central Pennsylvania and other states including Kentucky, Indiana, New York, Wisconsin and Missouri. Have you seen any new practices recently? In fact it has the advantage of being anonymous—particularly for youth who don’t want the local regular “taxi driver” to know where they’re going, or heaven forbid, gossip about it to other Amish people. We recently learned about motor-powered scooters being used by Amish firemen to get to the station faster. Which technologies, besides the smartphone, do you think are the most controversial or “gray area” currently among Amish? The use of solar energy is difficult to control. Many Amish people use solar panels for producing electricity to charge batteries, operate small appliances, and office equipment such as a fax machine. However the church generally disapproves of using large solar systems to electrify an entire home which would mimic an English house with a wide array of electric appliances and technology. Another growing issue is the separation between the use of technology for the operation of businesses and for things at home. The growth of this indicates a shrinking of church authority to primarily the home and family, with less control over business operations. If you had to guess, how do you think the Lancaster County settlement might look in 50 or 100 years? Will the community be significantly larger or will land prices prevent it growing so rapidly at some point? It’s risky if not even foolish to make long-term projections. Over the past two years the collapse of milk prices has forced some Amish people out of dairy farming. I expect Amish people who continue farming will focus on small acreage and specialized produce and other goods that only require a few acres of land. Those who want to continue general farming will likely migrate to more rural areas of the country. The Amish are tenacious about maintaining a distinctive identity, even though their practices may change substantially in the coming decades. Can you think of a unique practice that might emerge in the future? Yes, it’s conceivable that sometime in the future the Amish might rent driverless electric cars. How so? It fits within their traditional practice that it’s okay to use certain technologies but not own them. For example hiring taxi drivers. The Amish have always accepted the use of electricity from batteries. So a driverless electric car would seem to fit within their traditional practices, which is an important criteria for what they are willing to accept. What is one of the most common misconceptions about the Amish you’ve encountered? That they don’t pay taxes is a long-standing myth of outsiders who don’t live near Amish communities. What’s the most interesting or unusual Amish experience you’ve had? About five years ago, seeing my first 3D printer (actually a bank of 8 of them) in an Amish lantern shop. And receiving my first explanation of how 3D printers work from a young 25-year-old Amishman in that shop. I’m cleaning up old projects: trashing, filing, and transporting papers and correspondence etc. to the archives of Elizabethtown College where they will be available to scholars. I’m also drafting a short book on things I’ve learned from the Amish, which a publisher has solicited. As time permits, I’d like to revise The Riddle of Amish Culture for a 3rd edition. There’s been so much change 15 years since the 2nd edition was published. And finally, what’s your favorite Amish food? Schnitz pie (dried apple) often served for lunch after a church service and eaten by hand without utensils. I have recently made a move from urban northern Kentucky to rural western Kentucky and live in close proximity to an Amish community. Our farm is bordered on all side by Amish neighbors. I greatly desire learning about Amish belief systems and customs to forge lasting friendships and establish trust within the community.Thank you for the work you are doing! My mother grew up in Lancaster, PA and I have always had a special fondness for the Amish and that area of the country. With all of the stress we experience is our daily lives,I truly believe that the Amish follow the way God intended life to be. Technology has not made our lives easier – we are more hurried and stressed than ever before. Simple is best and the Amish know how to keep it simple! They have a quality of life that most people long for but most are afraid to give up the modern conveniences to have that life. Are there any Amish near Fort Campbell? My daughter will soon be moving to Fort Campbell at the Kentucky/Tennessee border, so I was wondering if there are any Amish communities nearby that make wood furniture and food items to sell. I also had a boyfriend in the ’80’s who had Amish & Menenite ancestry, so I’ve always been interested in learning more about the Amish. I hope I win your book! Very curious to read your book. Thank you for all the time, energy and information that you choose to share. I recently discovered the Amish on my Minimalism journey and i think i can learn a lot from them about the important things in life. I really like their approach on minimalism and community but im not a religious person so i could never join them but i would like to live in a community like that.